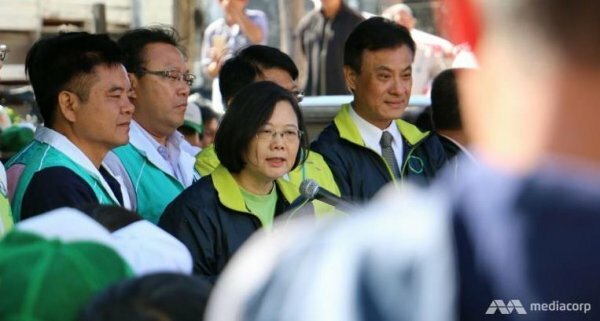 The elections in Taiwan set to take place this Saturday [16 January] and likely to see Tsai Ing-wen become the island’s first female president, are already considered by many as an example of true democracy in action. Particularly according to the so-called “Umbrella Soldiers” – politicians, activists and students involved in the 2014 street demonstrations in Hong Kong – the Taiwanese election will be carefully watched and will give many important lessons to the growing democratic political culture in the region. Hundreds of residents of Hong Kong, the Chinese-ruled territory rocked by street protests demanding free elections in 2014, have flown to Taiwan for Saturday's [16 January 2016] elections to see free-wheeling democracy in action. Politicians, students and "Umbrella Soldiers" - activists who used umbrellas to fend off tear gas canisters during 79 days of street demonstrations in the former British colony - signed up for tours to meet candidates, visit polling stations and join boisterous election rallies across Taiwan. "You can watch and learn from Taiwan's political culture ... and witness the elections with your own eyes," Hong Kong-based Hong Thai Travel Services wrote in a commercial to lure takers for a sold-out four-day tour. China allowed a direct vote for Hong Kong's chief executive in 2017, but only from among pre-screened, pro-Beijing candidates, which the protesters denounced as a sham. The Beijing-backed electoral reform was vetoed by Hong Kong's legislature last year. Hong Kong returned to Chinese rule in 1997, with a guarantee of wide-ranging autonomy under a so-called "one country, two systems" formula, with universal suffrage the "eventual goal". China considers self-ruled Taiwan a breakaway province and has not ruled out force to bring it under the mainland fold. China has held out "one country, two systems" as a solution for Taiwan. But both the island's ruling Nationalists (KMT) and the independence-leaning Democratic Progressive Party (DPP) have rejected the model. The Hong Kong protests, which blocked key arteries, posed the biggest political challenge and embarrassment in years for Beijing's Communist Party leaders, who are likely to be angered by Hong Kong tourists learning about democracy from their long-time foe. Wang Dan, a student leader during the 1989 democracy movement in and around Beijing's Tiananmen Square that was crushed by the military, will be hosting groups of Hong Kong visitors at his "New School for Democracy" that advocates the democratization of China. He said the issue was not the law that Beijing lays down to decide the next chief executive of Hong Kong, but rather the work for political change from the bottom up, even if it takes many more years. "The only hope for Hong Kong's future is election, not a fight on the street," he said. "The [Taiwan] election is very important after the Umbrella Revolution. Hong Kong feels very desperate, that its future is not bright. But gradually they will see there is another way." Already there are fears that many of the freedoms promised to the territory are being eroded. Thousands of people took to the streets of Hong Kong on Sunday in a reprise of the anti-China protests, demanding to know the whereabouts of five missing people linked to a local publisher of books critical of Beijing's leadership. Other publishers and book vendors are unnerved by the mysterious disappearances, and in some cases they have pulled books critical of Beijing's leaders from their shelves. Taiwan votes in a new president and parliament on Saturday, when the China-friendly KMT is expected to be defeated by the DPP, a party Beijing loathes. China has regarded Taiwan as a renegade province since Chiang Kai-shek's defeated Nationalists fled to the island in 1949 after losing the Chinese civil war to Mao Zedong's Communists. The elections in Taiwan involve a diverse bunch of candidates, with a former gangster, a Chinese dissident and heavy-metal singer running for parliament. "Taiwan is the only Chinese community in the world that practices democracy," said Benny To, a lecturer from Hong Kong's Community College of City University who is leading a group of 36 students to Taiwan. "There is something we can observe and learn from critically." High on the itinerary for the Hong Kong tourists are the campaign headquarters of DPP presidential candidate Tsai Ing-wen, likely to become the island's first woman president. "The Taiwan election is a motivation for us to keep moving towards the goal of democracy," said Nathan Law, a student leader in the Hong Kong protests that sparked what many residents saw as a political awakening. "[In Hong Kong] many politicians, including the chief executive, are not elected by us. It's really depressing." A Chinese student from the University of Hong Kong, on a six-day trip to Taiwan, said she was hoping to meet presidential candidates during their last campaign stops. "It's like a dream come true," she said.